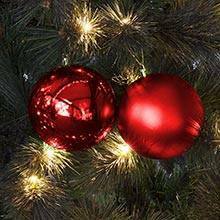 Whether you're the kind of person who sticks to the same colour scheme each Christmas, or if you like to mix it up from year to year, our huge range of Christmas decorations has something for you. 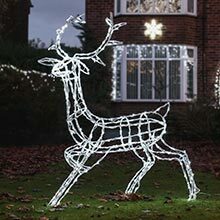 We've also got indoor Christmas lights and outdoor Christmas lights in a multitude of colours, to match your seasonal style. 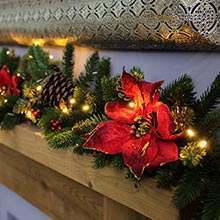 One of the most exciting things about Christmas, other than receiving a million presents from people who adore you (one can always dream), is getting the chance to completely transform your home into winter wonderland grotto for the whole of the festive season. 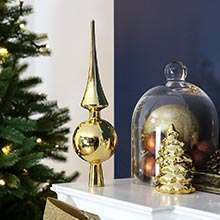 And the best thing about this seasonal style transformation is that you get to change your mind every year and make it completely different each time. 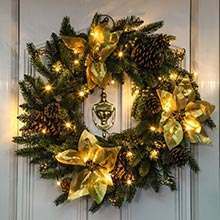 The easiest and simplest way to instantly revamp your colour scheme and theme is by changing your decorations and, with everything you could possibly imagine, from baubles to tinsel, traditional to super modern, your home could have as many wardrobe changes as Madonna! 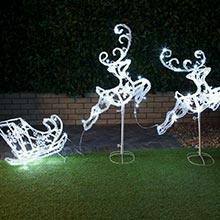 As part of our Christmas decorations range, we've also got a huge selection of Christmas lights, along with wreaths, garlands, Christmas figures and table decorations.